The leading termite treatment company serving Tustin, California, and the surrounding communities is Kilter Termite and Pest Control. 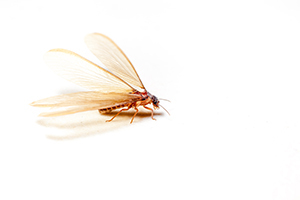 We are committed to achieving the best possible results for homeowners who are dealing with termite infestations, and we achieve this by developing custom treatment plans and using only proven-effective treatment methods. Thanks to our long-standing commitment to customer satisfaction, we were named one of the top pest control companies in the nation by Pest Control Technology. Because the innovative KILGUARD termite treatment system does not involve fumigation, homeowners can remain in their homes throughout the treatment process. Not only does this save them the money they’d spend on alternative accommodations, but it also means they won’t have to worry about toxic fumes leaving residue that may be harmful to their health. If you’d like to learn more about the termite treatment solutions we provide to homeowners in Tustin, CA, contact Kilter Termite and Pest Control today. Also, ask about our wood replacement services, which can help restore areas of your home that have been damaged by termites to their original condition.